This means a thrill. 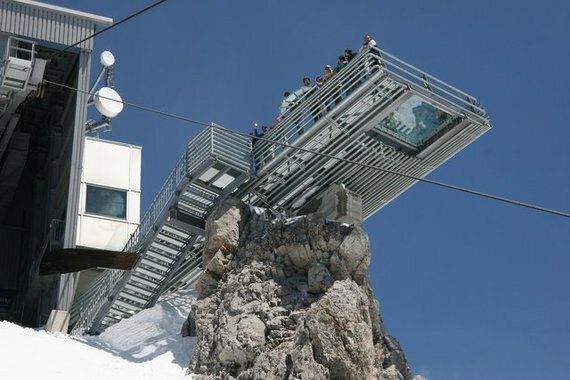 The viewing platform is located at upper terminus of the Dachstein ropeway. 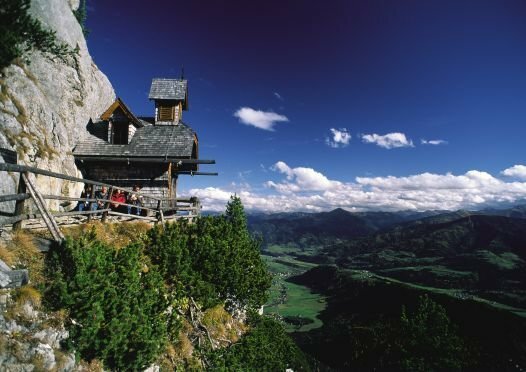 It is above the 250 metres the precipitous crag of the Hunerkogels. The floor of the sky walk shows a feature: a glass floor for your breath-taking look out into great depth. Don’t worry, the glass will be resistant! 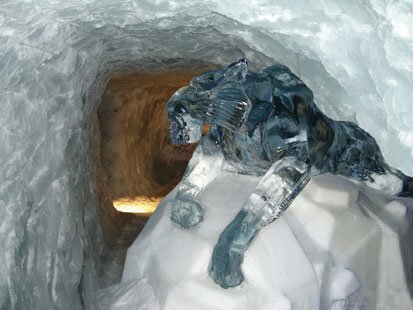 At a height of 2700 metres you enter the Dachstein Glacer and there will be found icy rooms, created icy sculptures, light- and sound effects. Fascinating surprise - a challenge – come in! You must be courageous! You are? You do! Passing wild waters and alpine steep road (called <<through hell>>) up to Riesachsee. You enjoy an excursion through <water’s world> fresh and exciting. Nature is modelling the stage for impressive spectacle of creation. 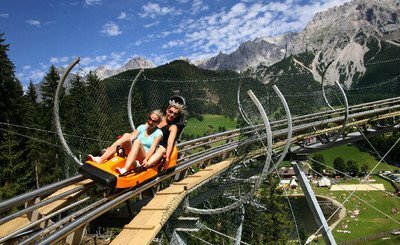 Rittisberg offers you a lot of varieties of diversion. 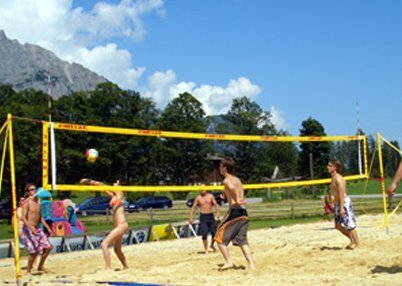 An experience for the whole family: marvel at celtic stone circles, have a look at Indian teepees from inside and outside, climb for viewing trees or you should rather prefer playing beach volley ball downhill? 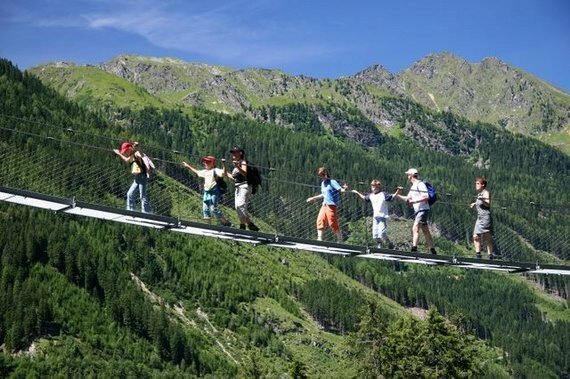 The Waldhochseilgarten Forest Park offers the youngest visitors over 3 years the climbing garden. 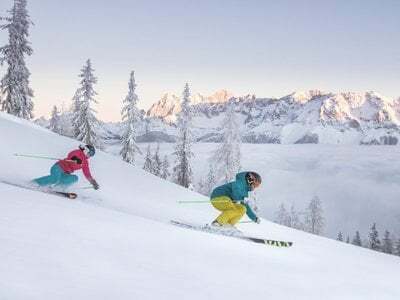 Location for this adventure will be the Hochwurzen. 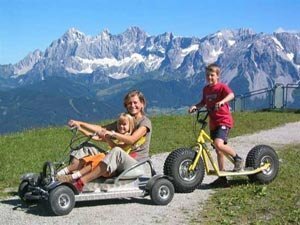 Go carts with buffers and shell-typed seats still wait for you to take you 7 kilometres downhill. Once aboard you will have fun anyway! 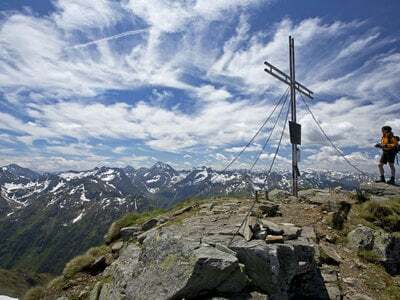 You will arrive the Stoderzinken at a height of 2.047 metres by a toll free asphalt mountain road. After your arrival you will have that marvelous view onto the Gröblinger Land. You discover the landmark of Stoderzinken: the Friedenskircherl. You prefer hiking? This might be no problem there is a route. The church is arduously built in the rock face but the path to that church is family friendly. 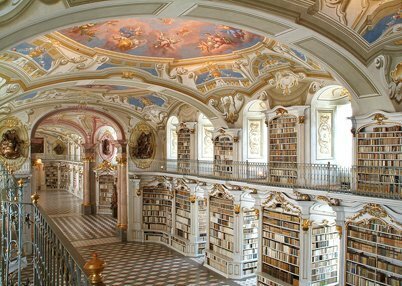 The Benedictine Monastery Admont harbours cultural assets that would have been located in this place for over one thousand years. The library is far-famed and belongs to the most significant cultural relic of Austria. Your visit is not solely for grey days bound!